Whether you’re a new mom whose life is in chaos, or a mom-to-be running from doctor’s visits to Target, or just someone who’s super busy, it’s easy to live life from task to taskfor days on end, without connecting to our big picture. We all know that meditation is a great way to calm our mind and body down. It’s like pressing the reset button so we can bring our best Self to the next task. The good news is it doesn’t need to be a seemingly endless, frustrating attempt to do something impossible: stop your thoughts. It can actually be a really pleasurable two minutes that has a powerfully positive affect on how you are thinking, feeling and acting! Yes, it’s true, the longer and more frequent the meditation, the more effective, but in my experience the difference between NOT meditating and meditating for two minutes is life-changing, compared to the difference between meditating for two minutes and meditating for 20, which is just an issue of degrees. 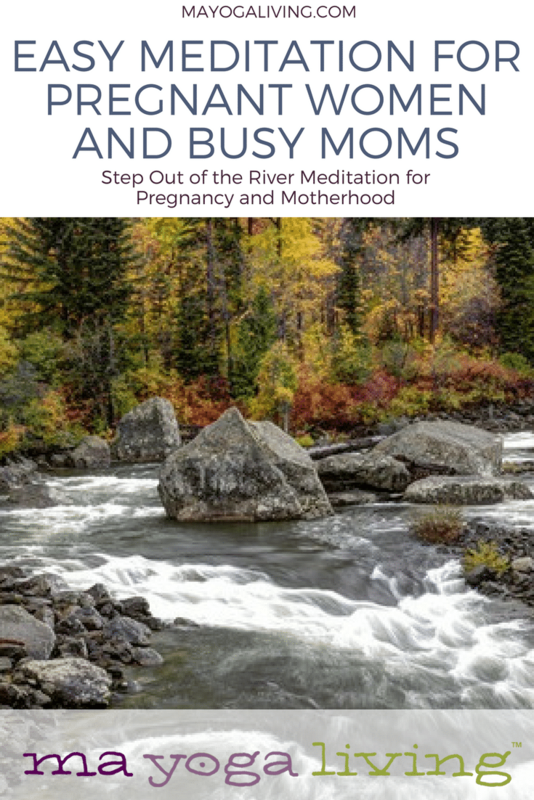 I’ve been meditating for decades, but as a new mom, there were lots of days I skipped it, because I couldn’t find the 20 minutes I was used to. I didn’t know the first thing about doing a quick meditation. One day while trying to calm my head down enough to be present with my little one, an image came to me that helped me drop in almost instantly. If you have a meditation practice, you can use this visualization like a mantra: simply call it up when your mind is wandering, and it gives our monkey brain something to focus on. Use it whenever you realize you’re not at connected to your highest Self, and can remember that you have the power to clear the slate in any moment. Sit on the edge of a folded blanket or cushion. Picture yourself in a river. 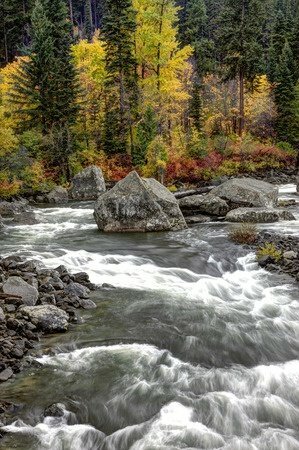 The current is the chaos of our lives, sometimes tossing us around – sometimes we’re swimming up stream. Now picture yourself getting out of the river. Sit on the ground, with a warm sun-drenched tree trunk supporting your back. Lean back. The support you feel is this community, and your own ability to nurture yourself. Let the sun above – the energy of life, or prana – warm you from your head to your feet. Watch the river go by. The current is the movement of your thoughts, your feelings. Don’t try to stop your thoughts – it would be as useless as trying to stop the current. Just let it all go by. Whether the current is chaotic and white-water rough, or calm and placid, it doesn’t matter. You are not your thoughts. You are not the current. It’s a part of you, but you are bigger. Allow the river to flow by without you in it. Watch it go by. Enjoy doing nothing. Imagine the cool, gentle breeze is your emotions. Let the breezes blow by. Feel the support of the sturdy tree behind you. As we move our awareness into the back of our body, we connect to a more universal part of ourselves, our deeper, more authentic Self. Recognize that this support is actually within you – and that it is always there, just by going deeper within yourself. Notice the sensations you are feeling, and allow them to be there. Like the warmth of the sun, the movement of the breeze, and the tree behind you, just notice without judging or trying to fix or accomplish anything. Let the imagery fade away and just sit, allowing thoughts, feelings, sensations to flow by. Look Ma – you’re meditating! When it’s time to get back in the water, things will be different. You can be in the water, but not pushed around by it. You can choose whether to walk or swim or ride the current, whatever will bring more goodness, truth, and beauty into your day. Over time with this practice, you can become more sensitive to where you want to go, and more able to give the best of you to your loved ones, your work, your play, and your life. Now do it mama! Close your eyes and start. 2 minutes is a great start! 10 minutes is wonderful! 1 minute or whatever you have will make a difference. 2.) Close your eyes and imagine you’re in a river. Now picture yourself stepping out. 3.) Sit down on the cool earth and lean back against a warm tree. Enjoy the sun shining down on the top of your head, and let the soft (or strong) breeze of your emotions blow as it will. 4.) Notice you are aware of all of this. Gently bring your attention to that awareness. Let the picture dissolve and become spacious. Float in awareness. 5.) When you find yourself lost in thought, call up the river again and step out – restart at #1. Oh and by the way mama, you have to sit down, close your eyes, and picture it. Reading about it helps, but doesn’t quite do the trick. 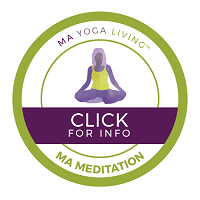 If you enjoyed this meditation, I invite you to join me for my self-paced Morning Ma Meditation & Power Practice Program. I created it to help busy mamas create customized daily practice to help you live from your highest, most powerful and wise Self – no matter what arises.